REGISTRATION BEGINS IN JUNE, 2018! Please use the following address in GPS – do NOT go to the Downtown Campus! 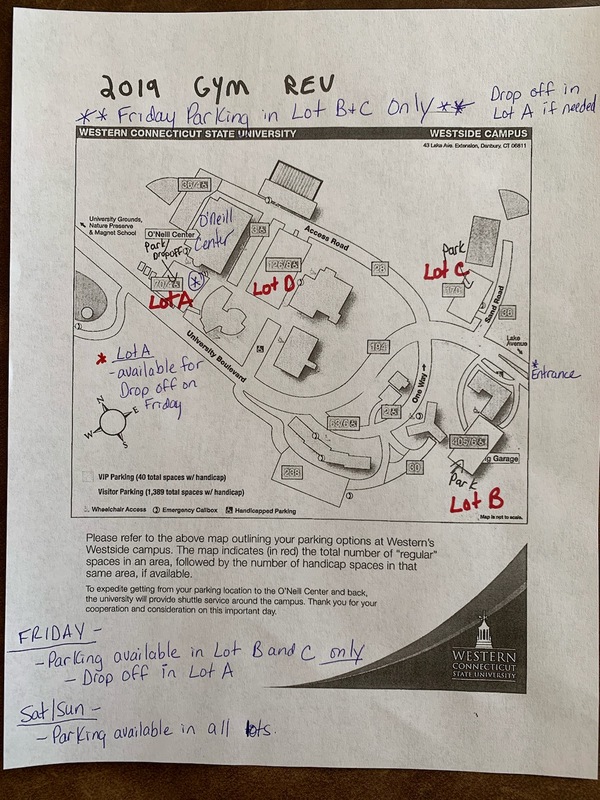 PARKING ALERT: Parking will be complicated on Friday, 2/8/2019. After dropping your gymnast (and passengers) off at the O’Neill Center, you will need to park in Lot B or Lot C, as shown on the following map. Professors, students, and faculty will be using much of the parking available next to the O’Neill Center, and we apologize for any inconvenience. Saturday and Sunday parking will be much more ample. Please note: There will not be rotation sheets handed out at the meet.